Experience the best of the Big Easy with the modern amenities plus historical style and southern hospitality at the Hotel. 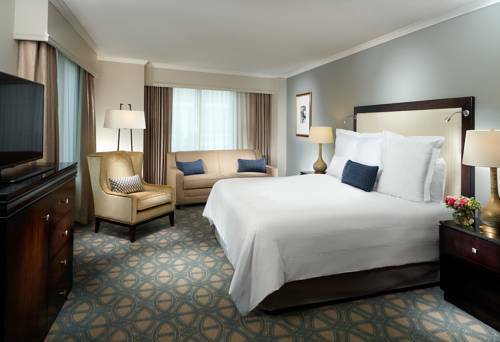 This smoke-free hotel is located in the heart of the thriving arts scene known as the Warehouse District in a renovated historic building and is walking distance from great restaurants plus bars and live entertainment and is minutes from the New Orleans Convention Center and 16 miles from the Louis Armstrong International Airport. Fulton St. Bistro and Bar: Art of breakfast is 21 USD per person plus tax. Kids Breakfast is 11USD per person plus tax. Located one block north of the Ernest N. Morial Convention Center and two blocks south of the casino. The Omni Riverfront Hotel is located in the Warehouse District and is only 30 minutes from the Louis Armstrong New Orleans International Airport. City CenterHotel is in the City Center.